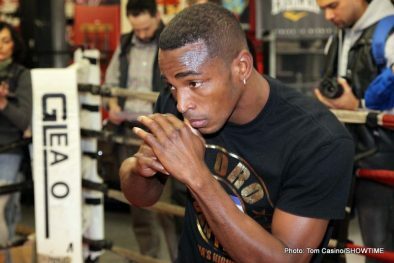 “I expect the best Zab Judah. 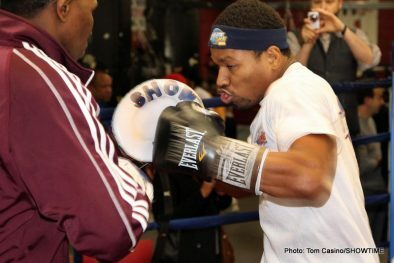 [I expect] a Zab Judah who is going to be fighting for his boxing career. I feel the same way. “If we saw each other in the gym, we would try to knock each other out. There’s no love taps. With this much on the line you can bet we’re both going to have it out on Saturday. “You have to be stubborn to have longevity. One or two losses can quickly demote you to a second level fighter, but you have to have the stubbornness to keep going. “There’s a lot of emotion, but at the end of the day we gotta do what we gotta do to win. 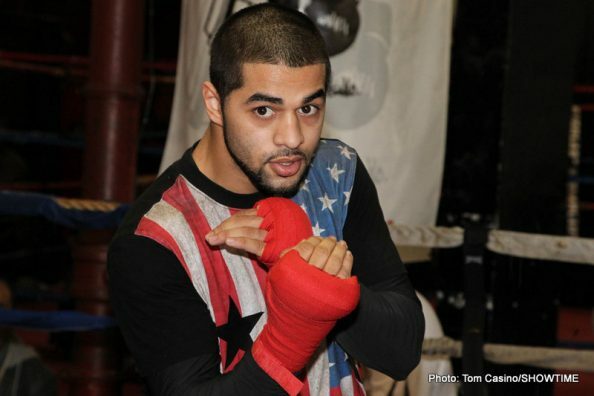 “I want that Broner vs. Maidana winner, first things first. I have to get through Saturday night. 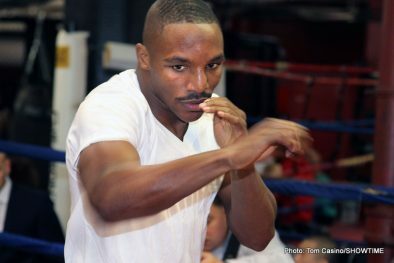 “A win over Zab Judah is what I want for Christmas. That suffices. “It’s exciting every time you’re part of a big promotion, it’s not a world championship fight, but it still has that feel and that vibe. On Saturday night it will feel like it’s a championship fight in Barclays Center. “We’re both motivated to win, but when you’re at this level anything can get you motivated for a fight like this. “This time, I’m putting myself in Porter’s shoes, I know what its like to get excited for a world title match. His skills are limited and I’m going to come to fight. 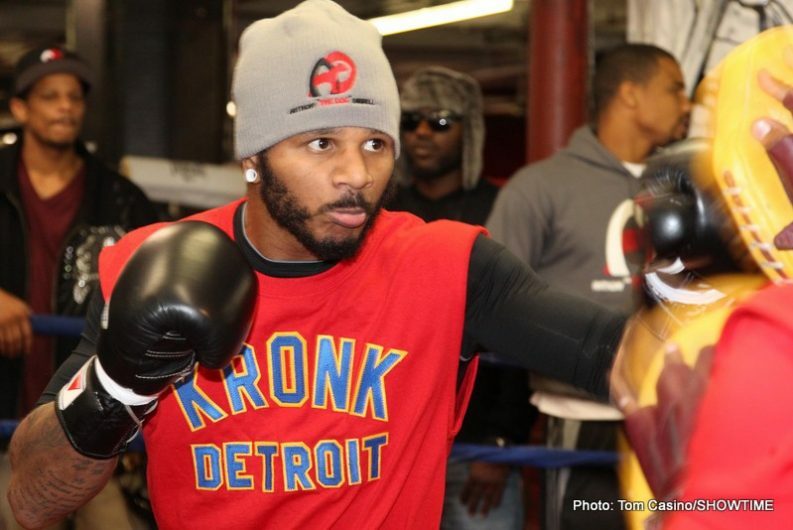 “I feel good fighting here [in Brooklyn]. It is my second time and it definitely feels like home. They’re definitely bringing boxing back to Brooklyn. “I’ve been in camp all this time. I’m back to normal and Saturday night you’ll see it. 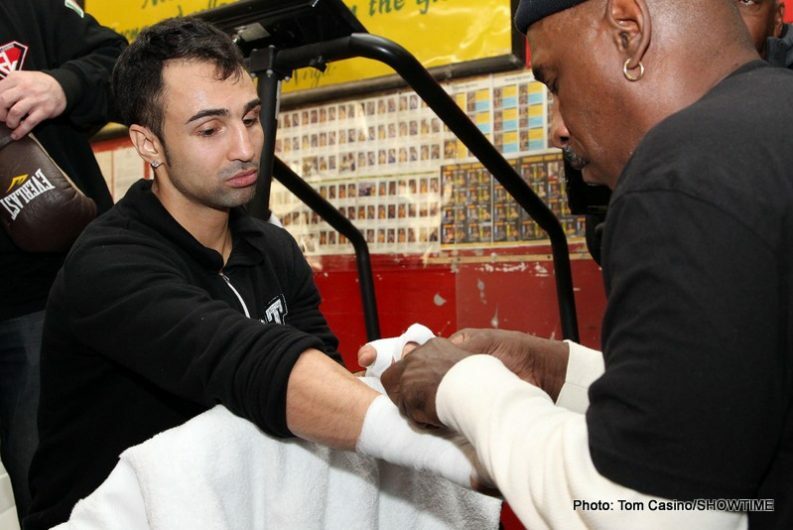 “You can expect me to win and be explosive. I’m going to be smart and get the win. I know Shawn is hungry. I was in that position and now I’m in this position. “I’m already there and I’m not losing to anybody. “I’ve been blessed too much to want something for Christmas. I’ll be giving this year. “After this fight we can expect bigger and better things. I’ll be a major player at 147. Whoever steps up to the plate next I’ll fight them too. “There’s a lot of excitement period. this is the biggest fight of my career. The week is here. 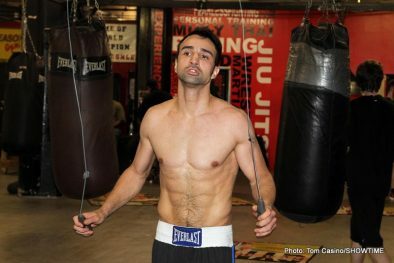 “We worked extremely hard this camp working on the mental and physical aspects of this fight. “We pushed hard to beat the champ. “We worked my heart out. We did 18 rounds in the gym. “My training went well and I’m ready to go. Trout talks too much. He’s all talk and no show. “I’m a solid fighter with skills and I’m at the top of my division. 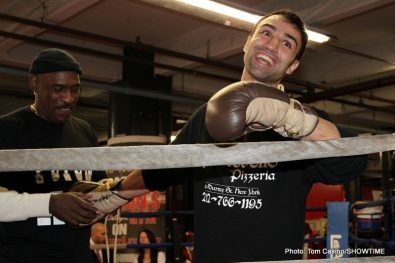 “I feel good and I want to show the people at Barclays Center that I am one of the best. “I want Barclays Center to become my second home. “I feel happy to be back in New York. “It’s going to be a good night for St. Louis. Everything we did there was good. 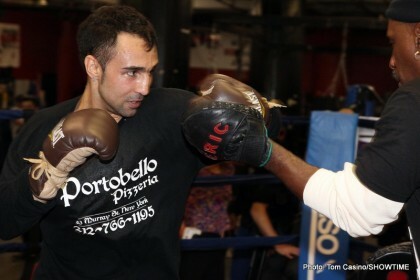 “It feels great to fight at Barclays Center. It feels good to be on a big card. “I’m experienced too. I’ve been doing it twenty years. I just know I’m an athlete I can do it all. That’s my plan, do what I want to do. “I’m going to go in and do what I need to do to win. “This is one of the hardest training camps I’ve had and I’m ready. 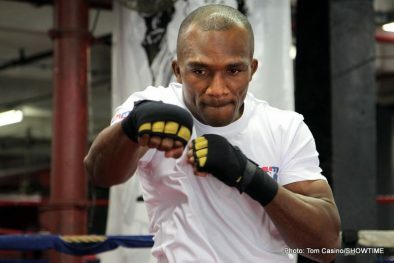 “My last fight was here and I want to keep boxing in Brooklyn alive. 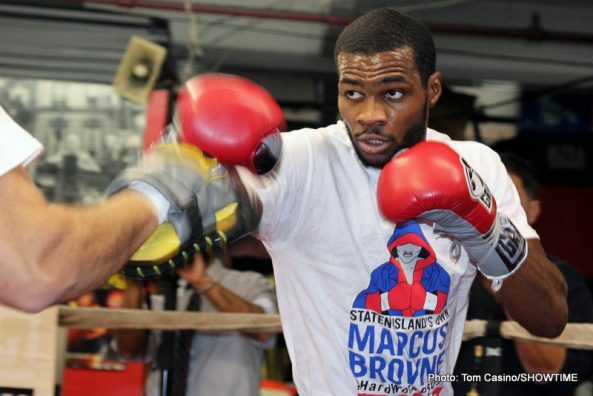 “I want to become a Barclays Center staple. It’s always exciting to fight there. “I fought 200 amateur fights and waited for the right opportunity and the right people to get me here. “I’m ready to show my growth from the last fight and put on a show. “I like to have fun and make it look easy. I’m not trying to go eight rounds. “I want to end my year on a good note and progress into 2014. Next boxing news: Do Mayweather and Pacquiao Respect Boxing Fans?